his membership is designed to accelerate the transition from clinician to manager, focusing on the work that unit managers must do to perform well in their roles. 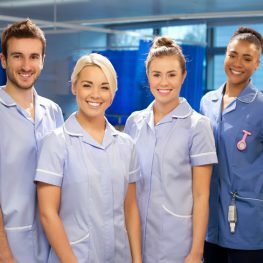 It builds the core skills of management while dealing with the day-to-day issues that every nurse manager faces in their units. If it does, then you already know how hard it is to find someone to talk to who understands what you are going through, and to get practical advice, tools and encouragement to help you. The membership provides you with a road map and support crew to help you everyday as you move from clinician and up the management rungs. It’s a membership for managers and aspiring managers, providing essential resources, training, and advice to deal with the practical, everyday issues managers face. PLUS the community support you need to encourage and guide you to become a powerful leader. Get a clear picture of what it means to be an empowered leader, and the road map, skills and tools to get there – saving years of frustration and stress. Build your confidence to lead and manage – reveal your leadership power. Build a high performing team and a place where people love coming to work. Becoming infinitely better at managing your team on a day to day basis, so that you have way more time and far less stress. Get that next job so you can make a bigger difference – and even earn more money!